This is the third post in a three part series of how I am organizing my Elf on the Shelf for this holiday season. If you missed the other posts, you can find them by clicking here… Introduction and Round-Up. You may have noticed I have not tried to think of new things to do with Elfred, our sweet little Elf on the Shelf. That’s because there are so many out there, I don’t need to spend any of my time re-inventing the wheel. That’s why I did the second post as a round-up of all the Elf on the Shelf ideas. Now I’m guiding you through the steps of easing the elf stress…(yes, that is definitely a first world problem!). The first thing you need to get is a calendar that includes the days you are planning on having your elf stay at your house. I am planning on starting the Monday after Thanksgiving…that’s just a week away!! It’s proving difficult to find a one page calendar that includes parts of November and most of December. So I created one that works for my time frame! After printing my calendar, I sat down and noted all of the things our family already has going on during this time. Some of things I had to consider were wrestling practice for the boys on Tuesdays and Thursdays, a band concert for our daughter, a cotillion dinner and dance, traveling for the holidays, class parties at school, etc. You may be thinking, “How does that effect your elf on the shelf?” These things take my energy during the day, and I need to consider how much energy my elf plans will take that evening. Other things I made sure to think about was if the idea had something for my kiddos to do (like building the elf sled). If they needed to do an activity with what the elf left, I made sure to plan to leave that on a weekend night so my kids could spend the next morning doing it. How terrible to have the elf suggest an activity that made the kids excited just to be rushed off to school without doing it! I wrote a list of every “elfscapade” I planned. I cut them apart and sorted them by types. The first sort was by difficulty level. Some of the ideas were easy to implement (such as the Spiderman mask) while other ideas were more complicated (the rock climbing adventure). Next I took each difficulty level and put them on my calendar. I put easy ones on practice nights that we might go to bed late. I feel like these were things that I really could do and would have fun doing it. Then I further sorted them by what types of materials they needed. I had some that needed printables, some I had to make things for, while others really had no materials needed at all. This helped me get the things done ahead of time. One day I picked the printable stack, and I printed everything that I needed for those. The next day I chose the stack of things I needed to type such as the reindeer recipe. I one day I worked on the stack of more difficult things that I needed to create. This is the easy category sorted into what I needed to do to prepare. The categories were Print, Gather, Make, and Nothing. As I got the things gathered and ready, I would put the items I needed in a gallon size Ziploc baggy. I labeled it with the title and the day I needed that stuff. I worked on each elfscapade over the course of a few days while my big kiddos were at school. Judah, my four year old, goes for a couple of hours each morning. So I had to use my time wisely so that I could get them all finished and put away before picking him up. Each day has it’s own baggy. I just used a Sharpie to add the day to each one…not very cute, but super quick! Calendar: so I can see what I’m doing each day. 28 baggies of items: these are the items I planned ahead so each evening I’m not rushing around gathering my crafting supplies. Here are all of the baggies ready to be stashed away. an overnight bag: this is where I’m storing all of the baggies until I need them. This bag is always in my closet and won’t cause any questions to arise. It also conceals what’s inside easily while allowing me quick access to what I need! Here they are filed in my overnight bag. Each evening I will grab the baggy I need, and let the magic do its thing! I am actually looking forward to seeing Elfred this year. I know he will bring the excitement of Christmas with him without driving me crazy!! How are you getting ready for your Elf on the Shelf this year?? Share any ideas you have with us in the comments. I am so excited to announce I have decided to take my sewing hobby up a level, and I am launching my own handmade shop! Make sure to click on the “My Shop” tab in the menu to check out all of my current products! The Organized Elf: Round UP! This is the second post in a three part series of how I am organizing my Elf on the Shelf. If you missed the first click here. If you have ever been on Pinterest around Christmas, you have seen hundreds of ideas of the fun things you can do with your elf. If you haven’t ever been on Pinterest around Christmas, I have no words… I mean…today is your day!! Here is a round up of Elf on the Shelf ideas!! He will be arriving back with a “I’m Back” banner. I saw the banner on the official Elf on the Shelf blog. I love snowmen…seriously LOVE them. So I saw a couple different ideas on how to use them with Elfred. He will build a snowman out of marshmallows like the one seen at Livingly…though I am planning on using regular marshmallows. He will take a picture of some toy friends like the elf did here on Womanista Wellness (aka Skinny Mom). Elfred has made snow angels in the past using sugar. This year he’s going to try sprinkles! I have the perfect snow like sprinkles that I have never found the perfect project to use them. I found my sprinkle inspiration here at Frugal Coupon Living. In years past, Elfred has drawn on our family pictures with dry erase markers. He has done it so much so that my kids are not amused by it at all now. So this year, he is spicing it up by taping elf hats on their baby pictures. Here’s how it looks on i heart arts n crafts blog. Here’s my twist to elf sledding…Elfred will leave the supplies to make an elf sled one day. The kids will construct the sled without any directions (a little STEM lesson). The next day, Elfred will be trying out their creation. They’ll have to make sure it’s super safe! 😉 Another idea from Livingly. Spider Elf! My kiddos love super heroes…so it’s natural to try out a mask on Elfred. I found free printables at Simple and Made Pretty. They are so cute! He has to have a day of rest…as does this momma! So he will get a sleeping mask to help him sleep through the day. On pinterest I’ve seen lots of elves playing games…battleship, tic-tac-toe, etc. We have a tradition of playing a Mastermind tournament on New Year’s Eve…ok…so we’ve done this twice and daddy won both years. This year Elfred will encourage the kids to practice ahead of time by pulling out the game and making a code for them to break. We love to draw and color…Elfred will join in by drawing a picture of himself. 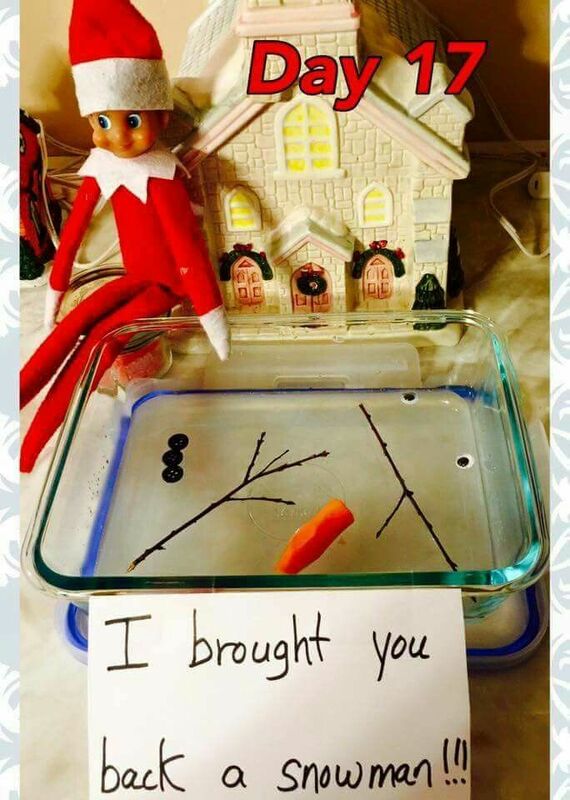 He will leave a recipe and the ingredients for reindeer food. I couldn’t find a kid friendly recipe…so I typed up my own. If you want to do a make ahead version, Carrie Elle has a great printable here! I saw this ball pit idea, and I knew I had to do it!! Check out this round up from Your Modern Family. Any quick search on Pinterest will give you the idea for your elf to ride on a toy…so I’m picking riding on a dinosaur because my son, Judah, has a ton that’s the perfect size. Elfred will make a simple ornament for the kids to put on our tree and keep. I used this simple santa hat idea from Buggy and Buddy. Modern Family showed a pirate elf that is too cute! Elfred will enjoy that. I love bringing out random acts of kindness. I found these printables for Elfred at Mommysavers. He is going to attempt to make breakfast…or at the very least leave out some fun breakfast ingredients. Elfred always checks in on baby Jesus, so this year won’t be an exception. It’s an easy night for mom, and a little nod at the reason for the season. I’ve always wanted to try the Kissing Booth, but the season always sneaks away from me. Not this year, I’m planning ahead! You can snag a free printable version here from East Coast Mommy. Elfred wants to bring a snowman that he built in the North Pole back for the kids to enjoy. Look here to see what happens…I’m gathering buttons, sticks, and eyes now so they are ready to be added to the water. Elfred is a thrill seeker sometimes. I will enlist the help of my much taller husband to install the rock climbing idea from A Little of This That. Elfred likes to make paper airplanes and toss them from our living room ceiling fan. That’s a favorite I plan on using again. I told you I loved snowmen…Elfred will decorate on of our doors as a snowman this year! My Frugal Adventures shows you here what it can look like. Each year Elfred makes snowflakes and leaves them in our dining room. He usually leaves a little mess for the kids to take care of. We have a dog…this is her 2nd Christmas…Elfred really tries to avoid her because she chews everything! This year he is going to try out her dog treats…YUCK! Look here for a funny photo…we will probably skip the puke! And lastly, Elfred will bring pajamas for each of the kiddos to wear on Christmas Eve. Also I like to wrap Elfred in bubble wrap so the kids can hug him goodbye! (You can’t touch him or he will get sick and lose his magic). Now I have found my ideas, gathered the materials, and now I’m ready to plan when I’m doing each one. The next post will show how I’m doing that. This is the first post in a three part series of how I am organizing my Elf on the Shelf. I don’t know about you, but I remember when I first saw The Elf on the Shelf. I was in love…absolutely thought it was the best idea ever! The excitement was so great I had one sent to our house directly from Santa Thanksgiving weekend. We arrived home from our travels and there sat a mysterious box. My kids were so excited!!! (I was probably more excited!) We opened it up…there he was…our magical elf! We read the book (not a bad read the first few times through). We named him Elfred (gotta have that cutesy elf name, right?) And then the good times began. Each night I would stay up and do the fun things we parents do with the elf. Our elf didn’t make many messes…we don’t need help with that! I had so much fun that first Christmas with Elfred, and so did my two sweet little kiddos. Fast forward five years plus two more kids, and this momma is burned out…completely BURNED out! Last Christmas, Elfred just moved from place to place. He wasn’t having his usual good time. Don’t get me wrong, the magic didn’t disappear all at once. The antics became less elaborate and less often each Christmas season. But it really became apparent last year when there were days the poor guy didn’t move (whoops! I was pregnant and so tired…). I even advised another mom to NOT adopt an elf. It felt like a hundred more things to do, and I didn’t need any more on my proverbial plate. But as I look back on that first Christmas, I can’t help but feel like I should rekindle my love for the little guy. My two younger kids need the magic too. Both of my boys are in the believing stage…my oldest daughter is on the gig and would often remind us to move it last year. And of course, the baby doesn’t know anything about it yet. I have many years of elfing left to do…so I decided to organize my elf on the shelf! This will be a three part series of posts of how I plan on loving the elf again! Post two: Elf Round Up! There have been plenty of studies about the two hemispheres of the brain. 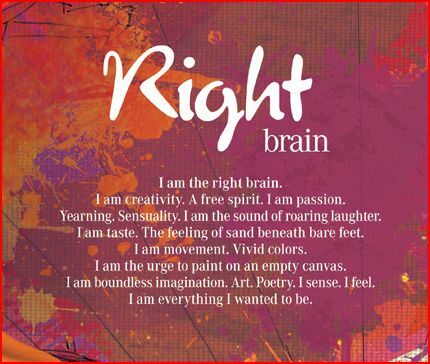 And apparently the latest brain research indicates that the often referred to left-brained=analytical and right-brained=creative is more of a myth than actual science. But I can’t help but to think that there has to be some truth to it! It pretty much sums up how I feel about myself on days that my creativity is flowing. On the other days, I just feel unmotivated and pretty much lazy. So, I’m not sure the lazy part is because I’m ruled by my right-brain, but I know that I’m less likely to do anything when I don’t feel “the juices”. Unfortunately, the creativity isn’t always on and when it is, it’s not usually geared toward cleaning, planning, and arranging my house. I am working on finding ways to harness my creativity to help me to be the smooth operator of my house! 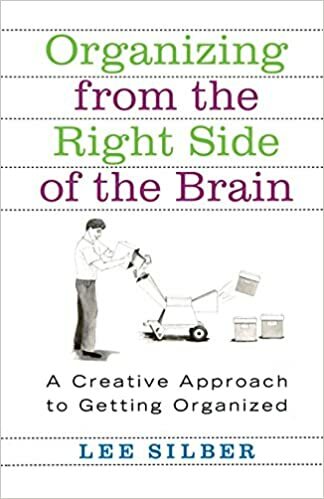 I am currently reading the book, “Organizing from the Right Side of the Brain” by Lee Silber. So far, I am enjoying it…especially since it’s written in a way that I can skip around. I don’t have to read it chapter by chapter. I look at the table of contents and find what interests me. I will be sharing some tips and tidbits from this book along the way! Are you tired of seeing all of the highlight reels that are posted on social media? If you’re like me, you’re sitting in your house with piles of laundry, papers, and chores surrounding you. Then you click on Facebook and see how everyone seems to be nailing it. ALL. Day. Long. Well, this blog is where the truth comes out! I will be sharing the honest truth (successes and failures) of our family trying to get our home in tip top shape! I'm a disorganized, right-brained, momma of four! I am currently taking off a year from teaching elementary to stay home with my sweet kiddos! I have a goal to have my house running like a well-oiled machine when I return to work. Only one problem...I don't even know where to start. Follow me on my journey of learning how to organize every aspect of our lives. I am going to organize the house, our car, our meals, and our time while showing you the ups and downs of this creative mind all along the way. This will not just be highlights...expect to see our Real Life Reels! Follow Me Everywhere I Go!